There is still no news of a DVD edition. The soundtrack album looks like a surefire collector's must-have for fans of Petula Clark and the film. Goodbye, Mr. Chips was Arthur P. Jacobs's musical remake of M-G-M's acclaimed 1939 drama, based on a novel by James Hilton about a stuffy British schoolmaster and the woman who brings love to his life. 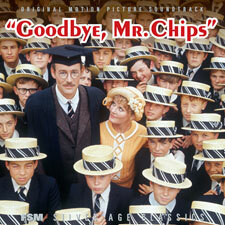 Peter O'Toole starred as Mr. Chips, alongside formidable musical talent Petula Clark as Mrs. Chips. The film was unconventional in that the characters do not "break out into song," but perform as a kind of psychological counterpoint to the story. This limited edition came with a photograph of these four taken at the reunion, plus the inlay card... which also included the autograph of associate producer Mort Abrahams, who added his signature one week later. Last edited by baracine; 03-19-06 at 08:20 AM. Humf. Wish they would do this with Temple of Doom. 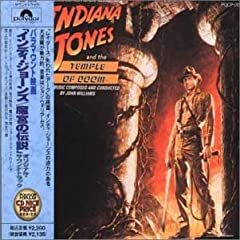 That Temple of Doom CD is a ripoff; I bought that from a Virgin Megastore for $20, from the Imports section. Just about everything from amazon.com sellers is a rip off. So should this now be in the movie forum, the music forum, or the store forum?? ?